For the last year, pianist and singer-songwriter Calvin Brown has been working on a solo project under the name Calvin Presents. Best known for his work with artists like Kenneka Cook, Angelica Garcia, and Steven Boone, he said the inspiration for his solo work comes straight from the headlines that he tries to ignore. “As much as I try to avoid the news, I can’t help but feel a certain gravity and darkness hovering over this time in our country’s history. ‘Spin’ was just my attempt to capture that feeling,” Brown wrote in an email. For his first official release, Brown has premiered “Spin” on RVA Mag. “Spin” features a rap verse by Marcus Tenney, who also plays in Richmond-based Butcher Brown and No BS Brass Band. The song was mixed by Brown’s sometime bandmate Scott Lane, who also produced Kenneka Cook’s debut album, Moonchild. For a debut, this is a moody piece. The song was written by Brown in response to the increasingly toxic and polarizing political discourse that has gripped the United States for the better part of three years. The dirge-y, monolithic piano lines in the song absolutely reflect the heavy-handed subject matter, as does the theatrical vocal melody. The message is clear: this a surreal moment in our country’s history, and the search for an adequate response isn’t as straightforward as anyone wants it to be. “Spin” is an earnest attempt to capture the undercurrent of anxiety that many people are experiencing due to the seemingly endless Trump presidency. “I think a lot of people will be able to feel and relate to what I’m singing about,” he said. To hear Brown live, head to the Richmond Jazz Festival, where he’ll be performing on Sunday, August 12. For the seventh installment of RVA Track’s monthly live music video series, the local film collective chose to spotlight Kenneka Cook, an up and coming, talented jazz singer who calls Richmond home. Cook has been looping her funky jazz vocals in Richmond venues and that combined with her pipes have earned her a solid place in the local funk and jazz club scene. She has performed with local band Mikrowaves, and now the powerhouse blues singer is stepping out on her own with a debut album due to drop this winter. The whimsical sounds that arise from Cook and the jazz ensemble make the listener yearn for more. Cook has a couple songs out on YouTube, plus a TEDx Talk, but that isn’t satiating enough for those of us who want to hear more. If the music emanating from the seventh RVA Track video is any indication of how Kenneka Cook’s debut album will play, then Richmond is in for treat. “I’ve been singing all my life,” Cook said about the origins of her music. She takes inspiration from the greats like Billie Holiday, Betty Carter and Sarah Vaughan. Her live music video by RVA Track, “Brings Me Back”, premiered Aug. 14 and as soon as Cook opens her mouth to belt out the tune you can feel the passion and the soul behind it. It’s captivating. The video was filmed by Craig Zirpolo, Daniel Bagbey, Gabrielle Silvers and Joey Wharton at American Paradox Records, with audio by Scott Lane (The Congress), edited by Daniel Bagbey, and features a cool short animation by Leslie Herman. Cook just finished recording her 10-track album with Lane and it’s currently out being mastered. Fans can expect a mix of covers as well as several of the singer’s original tracks. Be on the lookout on RVA Mag for when Cook’s album drops and in the meantime, you can catch the jazz singer next at Cary St. Café on Mon., Oct. 2, alongside Big Lean and Pheen. Local rap/jazz artist McKinley Dixon is at it again with his blend of a jazz quartet and his rhythmic rap lyrics in his new music video by local film collective RVATrack, “Circle The Block,” following his most recent album, Who Taught you To Hate Yourself?. With his previous album highlighting the perspective of a young Black man who witnesses a drive-by shooting, Dixon continues his efforts to shed light on police brutality, racism, and other struggles a young Black man faces in today’s world. Through his emotionally-charged lyrics, packed with a truthful punch, “Circle The Block” adds another layer to this conversation through lines about targeting by police, unnecessary use of force, and, quite literally, circling the block for potential suspects. The track is off a forthcoming album, titled The Importance of Self Belief, due out sometime in August. When he posted the video on his Facebook page, Dixon added “Stop killin’ my trans fam, for real,” adding recognition of the high number of homicides of trans women of color. Frankly, the surprising mixture of coffeehouse-jazz and hip-hop wordsmithing works perfectly for Dixon’s style and messages. Shot in Scott Lane’s (The Congress) in home studio in Jackson Ward, Dixon can be seen passionately spitting his verses while his fellow musicians churn out beats and licks on drums, electric guitar, upright bass, and keyboard, even giving the latter two instruments lengthy solos. The audio was mixed by Scott Lane. Camera work by Craig Zirpolo, Daniel Bagby, Gabrielle Silvers, and Joey Wharton. Editing by Daniel Bagbey gave for a smooth finish between cuts and final fade. 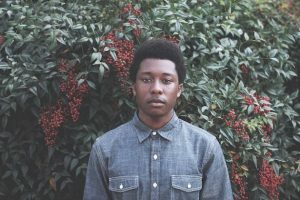 McKinley Dixon’s energy and relevant, contemporary lyrics on racial struggles for young Black men, specifically their conflict with police brutality, is given a breath of fresh air with his accompanying jazz quartet. His music video gives comfortable scenery for a tense topic. Hopefully, future tracks and videos will follow to give us more of a taste of Dixon’s talent. Catch McKinley Dixon, alongside Pressure Fit, Brunswick, and CGI Jesus at The Camel Thurs. July 20. Details here. Americana at its finest with deep soulful roots, and a voice with such conviction and depth, RVA singer/songwriter Sid Kingsley is the next musician you need to check out. The artist first made RVA Mag’s ears perk up when he released his single, “Good Way Home” a few months ago, which is the title of his debut album set to drop via American Paradox Records May 12. The song’s lyrics are a little heavy and tug at the heart strings, but Kingsley’s voice and piano playing makes it this powerful, feel-good beautiful song. While we’re just becoming hip to this guy, Kingsley is no newbie to the RVA music scene. He moved here about three years ago and has regularly co-hosted the open mic nights at Cary St. Cafe alongside local folk group Dalton Dash. Kingsley said that “Good Way Home” was the first song he ever wrote, which was about three years ago. He recorded the album back in July in Scott Lane’s (The Congress) home studio in Jackson Ward, whom he met on a trip out west. “I met him about five years ago when I was hitchhiking through the west and ended up in Denver and we had a mutual friend, and then when The Congress moved back to Richmond from Denver last year, he came to an open mic that I host and heard me sing a song and was really interested and wanted to hear what songs I had written,” Kingsley said. The album features 10 tracks, half of which Kingsley wrote himself. So far RVA Mag has only heard two tracks, but if the rest of the album is anything like the two singles, it will be one full of heart , soul and substance. “They can expect bluesy, soul Americana,” Kingsley said of the album. “I only do songs that I can make believable with audiences, just honesty really. The other half of the album, Kinsley chose to include covers of folk songs. “Old Scottish tunes, that are at least 100 years old,” he said. A song called “These Are The Reasons” written by Russell Lacy of Virginia Moonwalker studio even makes it onto Good Way Home. It’s a song that gives you all the feels, something you could listen to on a rainy day with Kingsley’s voice providing the warmth you need. Kingsley’s debut solo record is set to make for a diverse, well-rounded composition with fellow RVA music veterans Marcus Tenney (Foxygen, No BS Brass), Andrew Carper (Angelica Garcia), Kenneka Cook (Mikrowaves), and Lane featured on the album. A native of Branchville, Virginia, Kingsley grew up on jazz and has played the saxophone for over 20 years. He’s played the piano for the last five years, which he picked up while studying music at Radford University. It wasn’t until after he made his trip coast-to-coast trip during one summer while at college that he decided to try singing. He left school to move with his girlfriend to New York, which is where he first played his music live and in 2014, Kingsley and his girlfriend moved to Richmond where the singer was immediately drawn to the city’s burgeoning music scene. “The music scene was amazing and it was super inspiring,” he said. After his releases his album next month, Kingsley will head out to Denver to play several shows before embarking on a mini tour at the end of May that will run through the end of summer. Sid Kingsley will drop his debut album Good Way Home Friday, May 12 with a release party at Flora May 13. Sammi Lanzetta (formerly of Venus Guytrap) will also perform. Doors at 10 pm. Music at 11 pm. Free. 203 N. Lombardy St.